Death is not a popular subject of discussion and even less so in the war zone. The thought, however, of getting your photo taken when you die was never talked about in my training. The Parties in Play: The opposition, mostly officers, sometimes the enemy. The nightly Piquet on patrol as a lively twosome armed with 7.62 mm SLR’s or anything else that came to hand, and sometimes did. The Guilty Party: From the land of the big PX an aircraft called a Grumman OV-1 Mohawk. Cool looking plane, twin engines sleek and quite as a mouse. The said aircraft was a secret; we knew that, because we were told so. 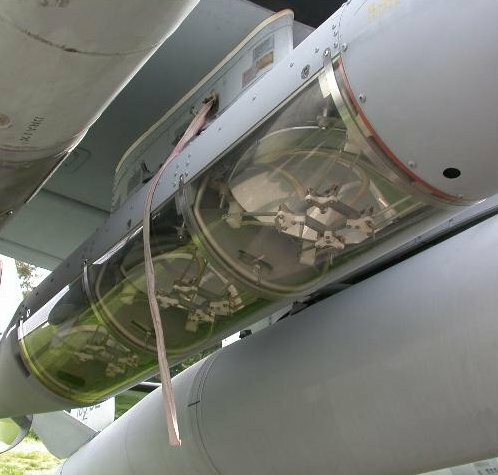 One of its rolls was photo reconnaissance. The Place: 110 Signal Squadron lines, Vung Tau, SVN on a sand hill, barbed wire and sand bags - you know the stuff. The Date: Sometime in 1968 no rain so must have been the dry season. A little back ground: There was a feller or gal, we never knew, who would take pot shots at us from an old French Fort down by the airfield. Not regular but every few weeks or so. The workers (troops) thought that if we put a few sand bags down as a rifle support rest and we popped a flare, that we could get a good shot at our VC friend. It was suggested during the planning that a 50 cal machine gun would do a better job of nailing him but getting access to the 50 cal, was a problem. The plan was vetoed of course, by the bosses. They felt that any over shoots would land in the airfield. The outcome being that we were forbidden to return fire. To which we did not. 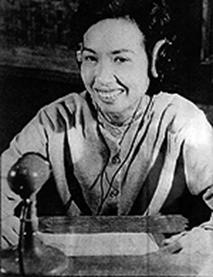 Hanoi Hannah: The enemy had English propaganda broadcasts on Radio Hanoi. The most famous broadcaster (the announcer) was known as Hanoi Hannah. She uses to play requests for poor Charlie, out there in the boonies, sheltering from us vicious signallers. The music wasn’t anything to write home about but the story lines took an interesting turn. We were forbidden to listen to the enemy broadcasts. So naturally we all did! Mostly on transistor radios, purchased from the Yank PX, down at the airfield but we also had access to our own very cool military radios. Somebody reported, in the Sandbaggers Inn, that they had heard Hanoi Hannah saying that a brave VC soldier from the Vung Tau Liberation Army, had shot and killed two running dogs of Australian Soldiers. Hmmm couldn’t have been ours we weren’t allowed to have dogs. The enemy launched two major attacks, TET and later a second offensive. Sadly, we surmised, that one of those caused the demise of our friendly shooter. I say sadly because he/she was replaced by a small group armed with AK47 (automatic rifles). So the scene has been set for my story, with the troops a bit on edge with the intermittent shooting and always the possibility of mortar or rocket attack. I was part of the two man nightly piquet patrol and we had reached the end of the road, at the airfield end of our lines. We turned left at the end of the Sergeants lines onto the road towards ALSG HQ and keeping parallel with the huts and the barbed wire fence. The patrol was separated by about ten metres and trying unsuccessfully to keep quite on the gravel and sand road. Our job had duel functions, one to be a fire watch in case of fire in the camp and to be a trip wire alert in case of any attempt to penetrate our wire. So there we were towards the end of our piquet shift, the mind is drifting off to a place far away and the physical body is still working the task. The wire has been checked, huts checked and the eyes drifted back ahead and up the road. The far end of the road is suddenly lit in a brilliant white blue flash! Flash again, probably in less than a second from the first. The space between the last and the piquet hut is now clearly visible. Flash again and the end of the COMCEN building now highlighted brilliantly. This flash seems to have its centre point over the wire. Looking up, the stars are partly blocked out by the silhouette of a small twin engine plane overhead. Now I’m bloody blind, however I can hear the sound of engines receding towards the airfield. I swear I hear the sound of a photo flash going off. But that may be my imagination. I can’t run anywhere, I can’t see and there is a bloody big barbed wire entanglement very close by. Somewhere in the archives of a foreign nation are pictures of 110 Signal Sqn lines, Brownie and his mate bravely defending the unit, a rice paddy, a small French Fort and the end of the Vung Tau Airfield. The aircraft was, of course, very, very low. No damage or casualties but clean underwear required by both piquet patrol members and a good story for the Sandbagger Inn troops, over a tinnie, the following night.